Feeling creative? Check out the Learn + Share area for several great DIY projects. Our step-by-step slideshows will inspire you to create. 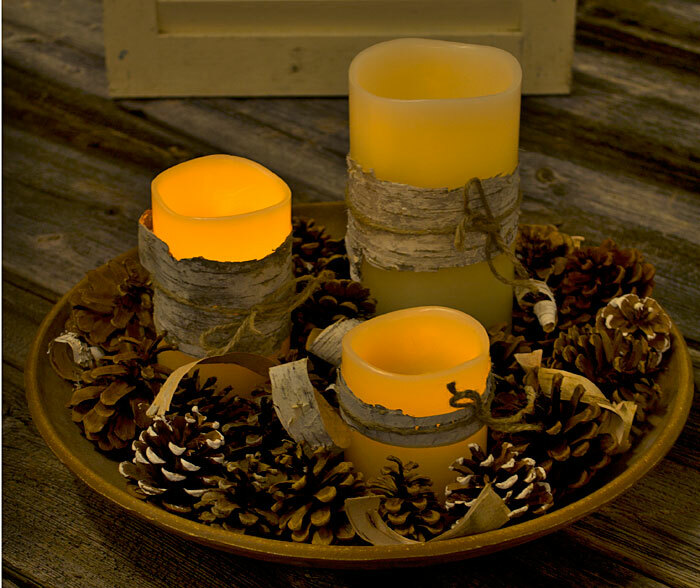 One of the projects is an Adirondack-themed wedding centerpiece, below, which features items gathered from the woods—pine cones and birch bark—in combination with Ivory Pillar LED Candles, twine and a large wooden bowl.